PC with 64/32-bit Windows® 10, 8, 8.1, 7, 60 MB HDD space, 512 MB RAM (optimal 2 GB), internet connection and Windows Administrator user account. Your browser(s) must be fully up-to-date. The latest Windows updates should be fully applied. 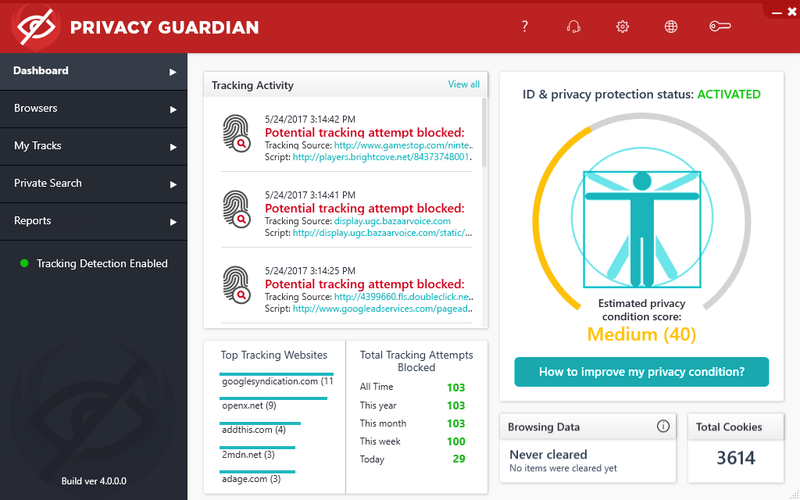 Already own Privacy Guardian and need the latest download? Click here.